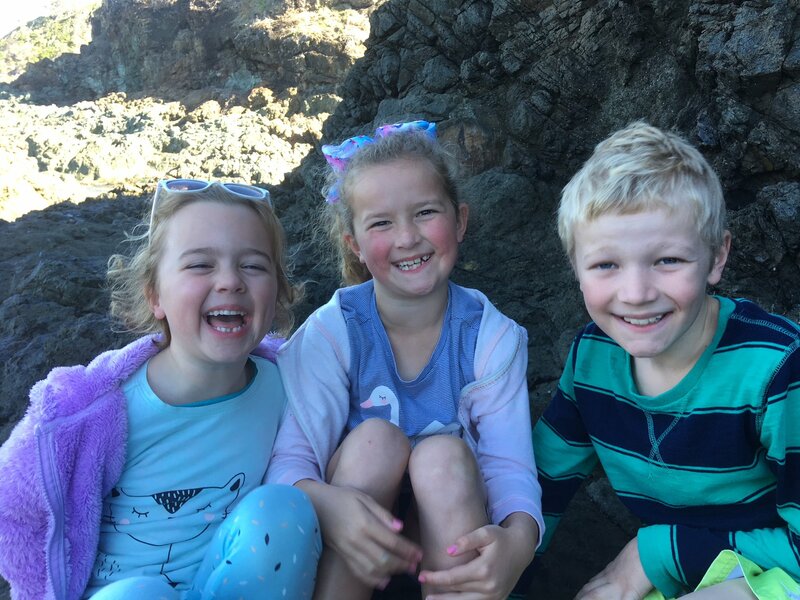 And lately, all three are really enjoying rock-hopping at the local beaches and headlands, and roasting marshmallows in the fire pit Sharon built us. THANKS AGAIN FOR PARTNERING WITH US! We want to reach as many of the 25,000 people who live in our region with the good news of the gospel as possible. We want to keep growing disciple-making disciples, so we can plant church-planting churches, so we can make even more and better disciples of Jesus! During Winter our Home Groups did a series called Unawkwarding Jesus, which was designed to help us all share Jesus with more love, boldness...and less weirdness. It&apos;s been encouraging to hear stories about how the series has helped some of our people be more deliberate in thinking through and moving mates (who may be hostile or open) along the next step towards life with Jesus. We launched our newest Sunday Service on 4th March and since then we&apos;ve had a steady stream of newcomers, looking to reconnect with God or suss Him out for the first time. Several new people have joined the church and are now actively partnering with us to take the gospel to the region. We&apos;re now averaging about 40 adults and 13 kids each Sunday. Please pray for the gospel to keep taking root in people&apos;s lives up there. We&apos;ve decided to delay planting Manning Bible Church for another 2 years. 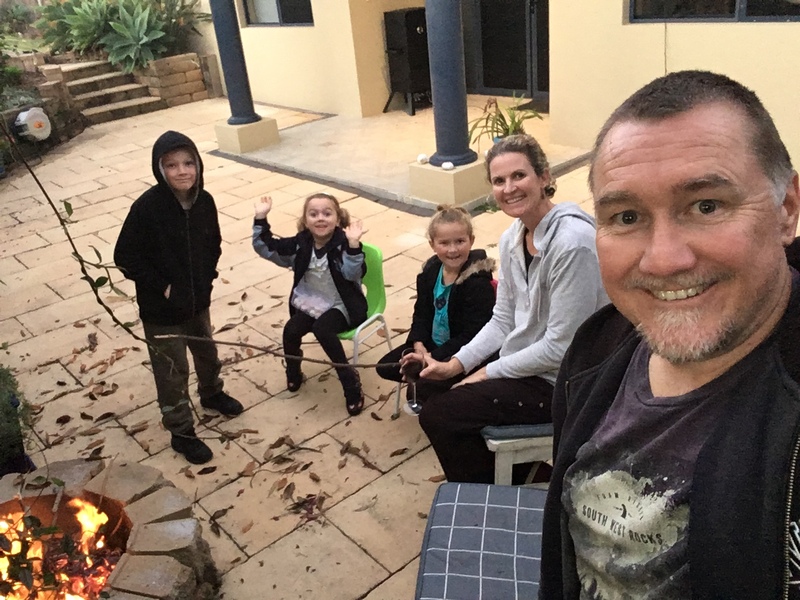 This will give Joel and Hannah Hill more time to gather a like-minded launch team from among those attending the new Hallidays service and who are travelling down from Taree and surrounds. 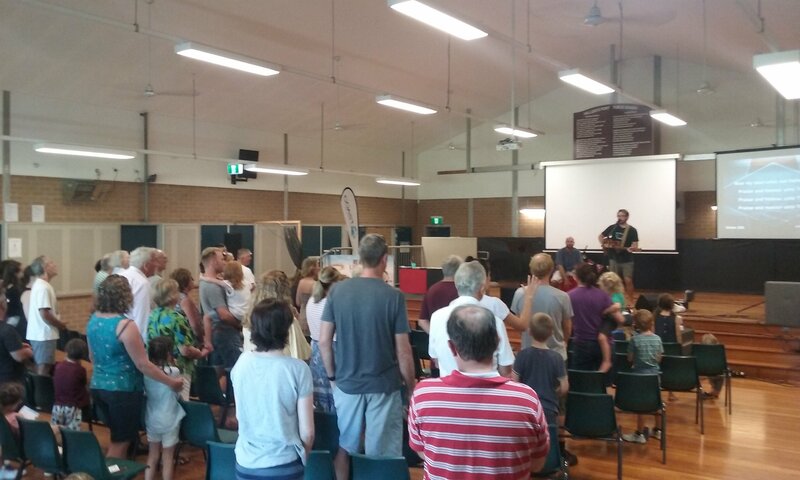 Please pray for the Hills as they keep plugging away at this, and ask that they&apos;d be able to start some new home groups in Taree over the next 2 years. We&apos;re in the process of finalising the purchase of our land, and designing our facilities. When the subdivision is completed, we&apos;ll settle on the land. We&apos;ll then send the Design Brief to the architect. After that we&apos;ll keep refining the design and invite more feedback and suggestions along the way. When we land on a final design, we&apos;ll be able to work out how much it&apos;s likely to cost. And then we&apos;ll seek to raise the funds to begin construction on Stage 1. All of this will obviously take several years, lots of prayer, hard work and sacrifice. But God willing, the site will become a hub for gospel ministry in the region for generations to come. Next year, we&apos;ll also be pulling together a few other teams to help us go from dream to reality (eg Finance & Fundraising; and Construction). If you&apos;d like to invest in this project financially, or have any ideas about fundraising, or professional skills you&apos;re prepared to donate to CoastEC in regards to the building project, please let Chris know. Please also keep praying for wisdom for our Admin Committee and Design Team. Ask God to let the best ideas rise to the top, and to provide what we&apos;ll need. Starting new churches, employing new staff, and building a ministry facility are all bold steps of faith which require wisdom, courage, sacrifice and some serious money! We&apos;re all heading to Camp Obadiah for the weekend! Pray for Greg Lee (lead pastor, Hunter Bible Church) as he speaks on Luke 15 (Prodigal Son). The 3 sessions will be The Gracious Father; How to deal with Sin and How to forgive. Ask God to grow us all as we get stuck into His Word together. And ask for God to strengthen bonds of friendship amongst His people. We&apos;re running a free money management course to help those struggling with debt and limited finance. Pray we&apos;d be a blessing to the poor in our community, that they&apos;d be equipped to handle their finances well, and for them to meet The One who can meet all their needs. Pray for Mark and Kerrie as they run the course. We invite our people to come and hear what CoastEC is about - our beliefs, vision, mission, strategy etc. And after they&apos;ve had a chance to look &apos;under the bonnet&apos;, we encourage them to become formal members - and come along for the ride! Pray for our people to partner with us in our mission, by investing their time, talents and treasure. Please pray for us as we gather all our members to share our current plans, assess how we&apos;re going, and dream and scheme about how we can more effectively make more and better disciples. We&apos;ll be cancelling our regular 2pm service at Hallidays and having a combined service at 4pm, followed by a whole-church bbq. Party time! This is our big evangelistic course run over 4 nights. This year, God willing we&apos;re running LIFE at both Hallidays and Forster. Pray for God to provide suitable venues (Blackhead Bowling Club? plus Cafe in Forster?). Ask for boldness for our people to invite their friends. Pray for many to come and check out Life with Jesus, and that we can do a great job of following them up.